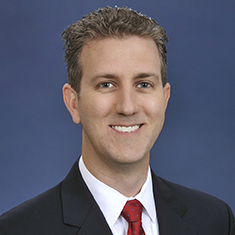 Ryan Fawaz is special counsel in the Litigation practice and is based in the firm's Orange County office. Ryan focuses his practice on health care insurance-related fraud litigation, representing his clients in both federal and state courts across the country. He also has considerable experience in all aspects of complex business litigation, including securities and antitrust matters. Ryan also regularly represents directors of companies, public and private, in actions alleging breach of fiduciary duties and government investigations. While in law school, Ryan served as a Teaching Fellow in the Harvard University Economics Department, teaching his own seminar and assisting in the teaching of intermediate microeconomic theory and finance courses. He is an alumnus of the Orange County District Attorney's Office's Trial Attorney Partnership Program, where participants work on a full-time basis as a deputy district attorney, first-chairing jury trials and prosecuting felony preliminary hearings. Defense of a global real estate services firm against RICO, fraud and other tort claims brought by a class of land and home owners at high-end resorts throughout the United States and the Bahamas. Secured dismissal of various claims at the pleading stage, denial of class certification, and complete victory on remaining claims at summary judgment. Defense of a global real estate services firm against RICO, fraud and other tort claims in litigation brought by the founder of a high-end resort. Representation of an oilfield services company and its directors in litigation related to an offer to acquire the client. Obtained voluntary dismissal of class action alleging directors breached their fiduciary duties in connection with the proposed merger. In separate litigation before the Delaware Court of Chancery, obtained withdrawal of request for preliminary injunction to enjoin the merger after opposition was filed and additional disclosures were made (no monetary payment was made by defendants). Representation of an emerging independent exploration company in a securities fraud class action related to alleged fraud in connection with the company’s well-drilling activities and FCPA investigation; obtained dismissal. Counsel to a San Francisco-based international law firm in malpractice litigation arising out of the client’s representation of Medical Capital in a Ponzi scheme involving more than $200 million worth of defaulted loans. Successfully reduced the case by one-third through motion practice and settled on favorable terms. Defense of a publicly traded security technology company in both securities fraud class action and derivative suit; obtained dismissals of both actions. Representation of a new home builder and affiliated entities in a nationwide class action against the companies brought by a class of homebuyers on allegations of fraud and state statutory violations; successfully obtained complete dismissal. Representation of a publicly traded information technology company against securities fraud class action arising out of an alleged inadequate proxy solicitation in connection with a substantial sale of company assets. Successfully defeated plaintiff’s request for a TRO and preliminary injunction to block the shareholder vote, leading to a request for a voluntary dismissal of the suit. Representation of a network solutions provider and its directors in litigation related to the acquisition of the company by a global private equity firm and affiliated entities. The transaction closed and the case settled without any monetary payment from the defendants. Representation of a company shareholder and founder in derivative and direct action for breach of fiduciary duties and fraud against other founder and company board members. The case settled on favorable terms for the client. Representation of a large private real estate company in pursuing a breach of contract action against a former tenant in one of America’s preeminent shopping facilities. The case settled on favorable terms for the client. Representation of a commercial tenant in an appraisal proceeding before a three-arbitrator panel, which returned a finding very near the client’s proposed valuation of the premises. Defense of a leading chemical manufacturer in multidistrict class action litigation and indirect purchaser cases against allegations of price fixing and conspiracy. Defense of a provider of business communication solutions against claims of breach of contract and unfair business practices. The case settled on very favorable terms for the client. Defense of a scrap metal recycler against claims of unfair competition and antitrust violations brought by a competitor. Obtained voluntary dismissal on behalf of company without any monetary payment from the company. Representation of a number of individuals and organizations pro bono, including in contested guardianship and conservatorship matters.